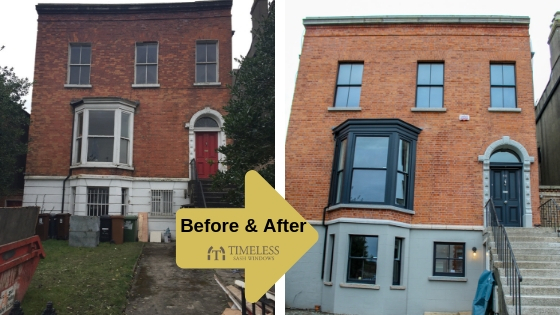 Before and After transformations are fascinating to see – how someone’s dream and vision are realised and the process completed. 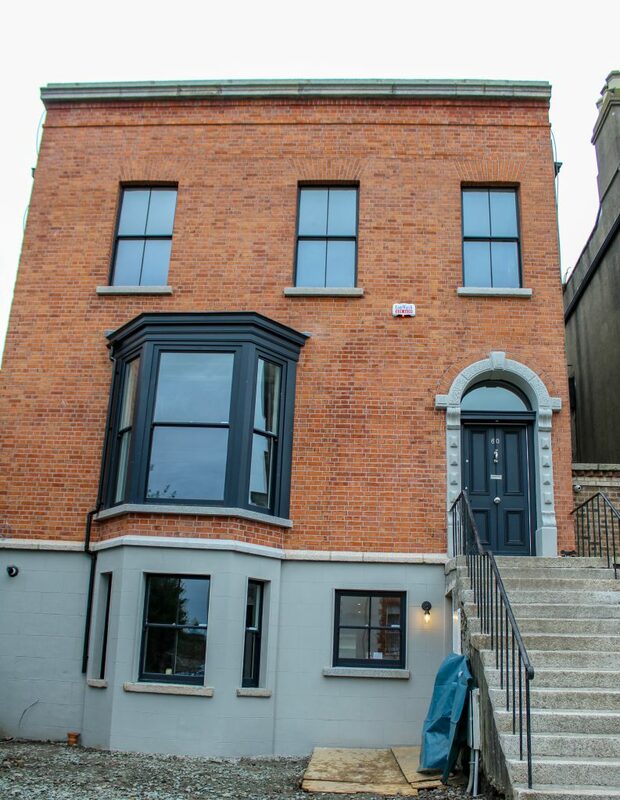 It is lovely to see such a success story as this property in Dublin. 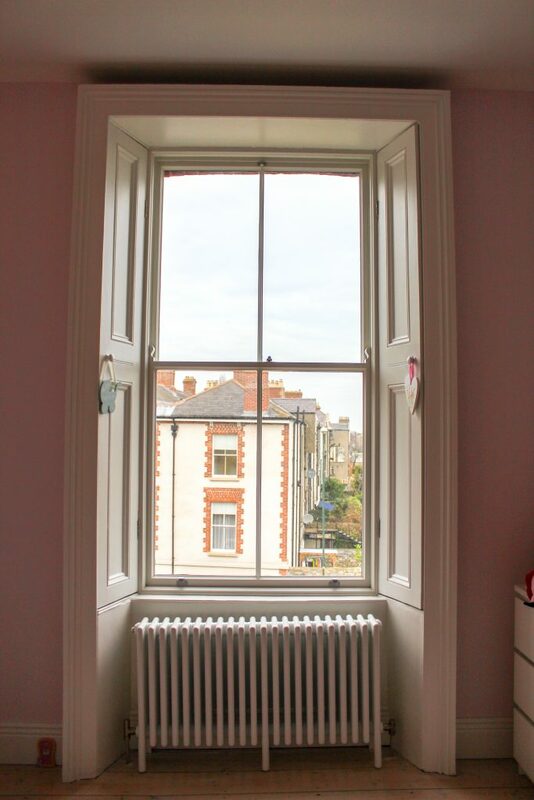 This is a Victorian terrace that was purchased in a poor state and needed a full refurbishment to improve the energy rating for cosiness and thermal efficiency, as much as the aesthetics for comfort and beauty in the home. 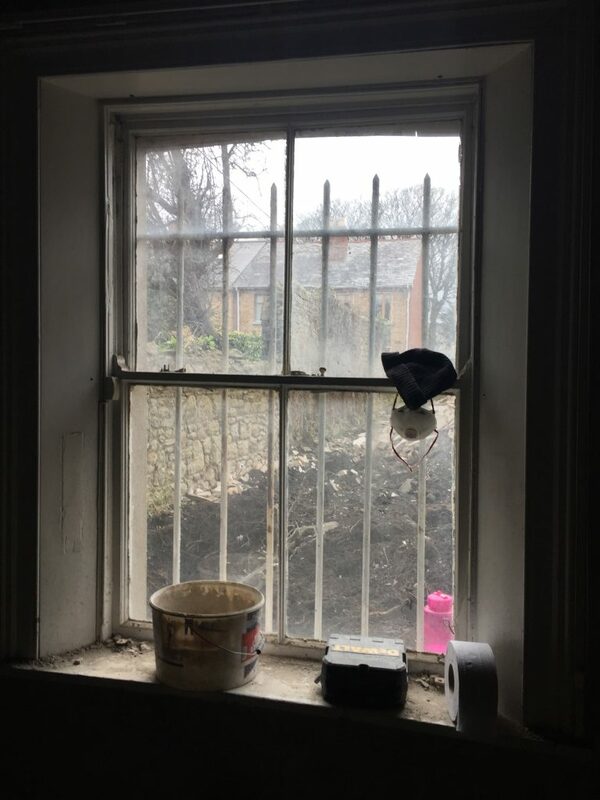 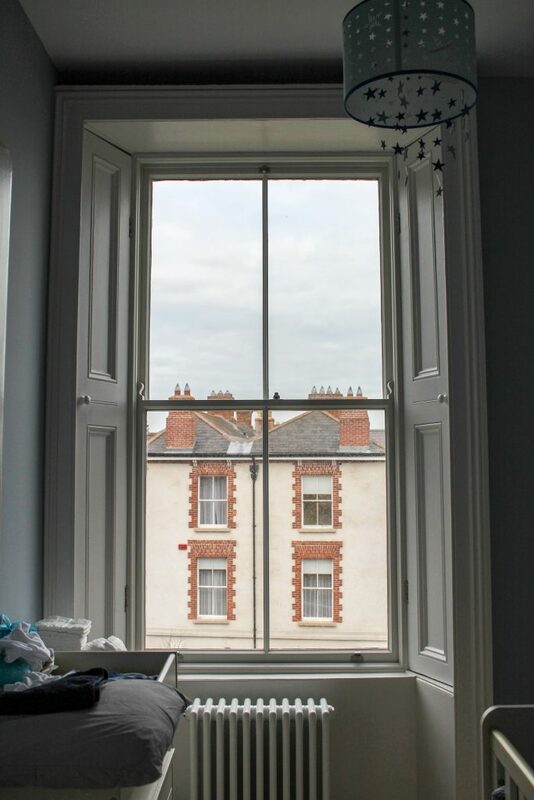 Timeless Sash Windows were delighted to be commissioned to work on all the original old timber sash windows in the property – replacing the sashes and renovating the frames in situ. 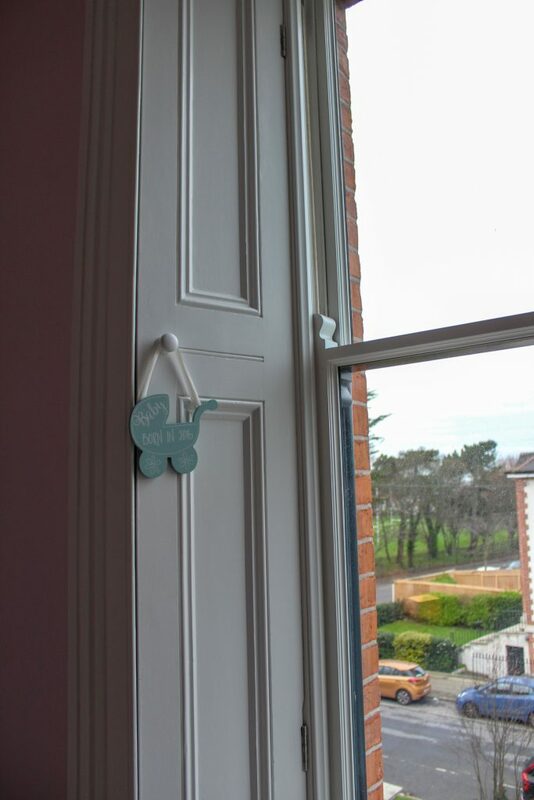 To maintain the heritage of the property and the area, we keep the original designs of the timber sashes combined with the latest techniques in the manufacture of timber windows. 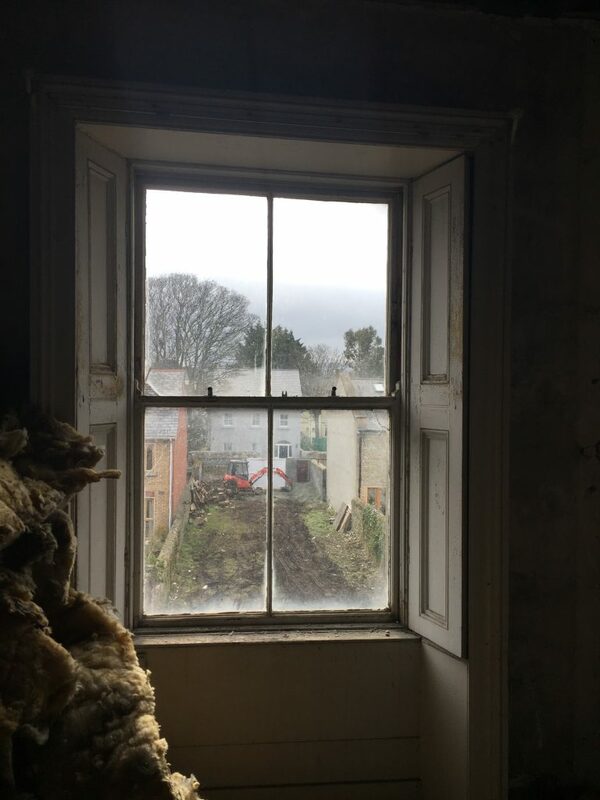 The windows in this property are over 2m high which bathes the rooms in light but need to be double glazed to make the house energy efficient as a whole. 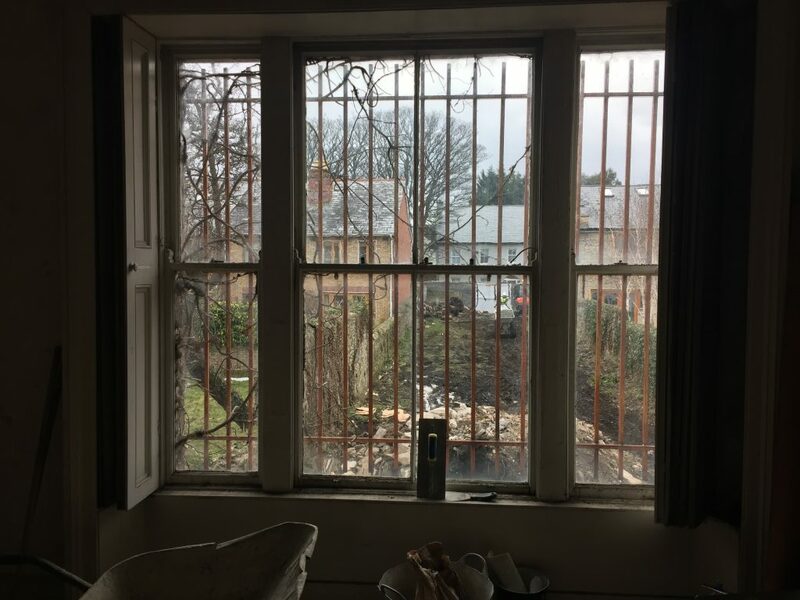 The U-value of the new windows is a cosy 1.8-1.9. 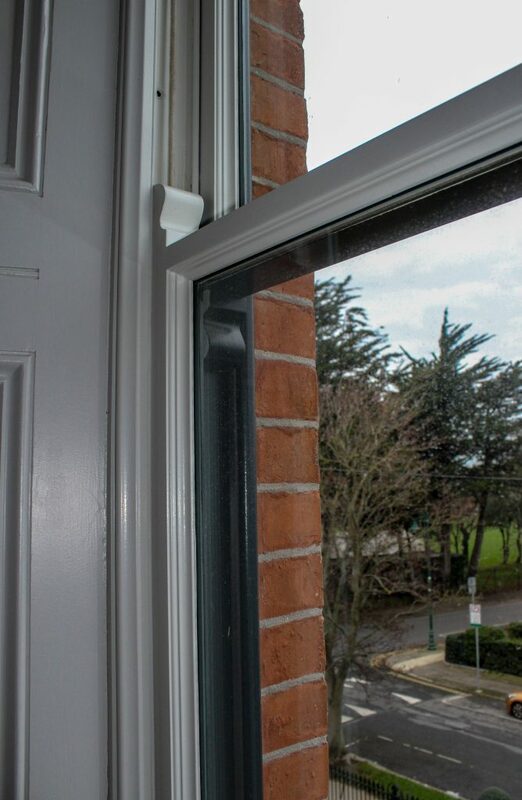 This is achieved by using the Timeless double draught seal in combination with the Timeless Slimline double glazing. 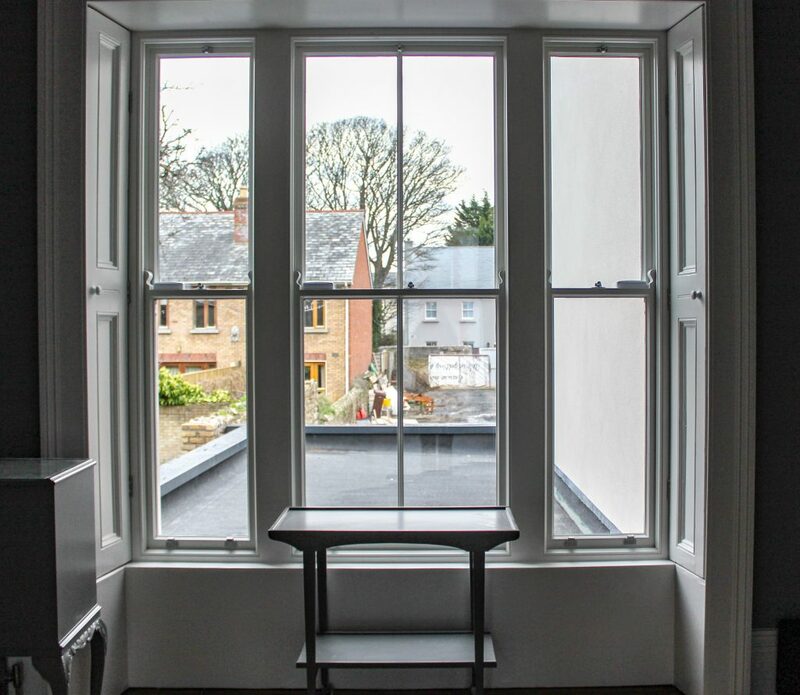 The slim double glazing is 4/4/4 – which consists of two 4mm panes of glass separated by a 4mm space filled with Krypton gas. 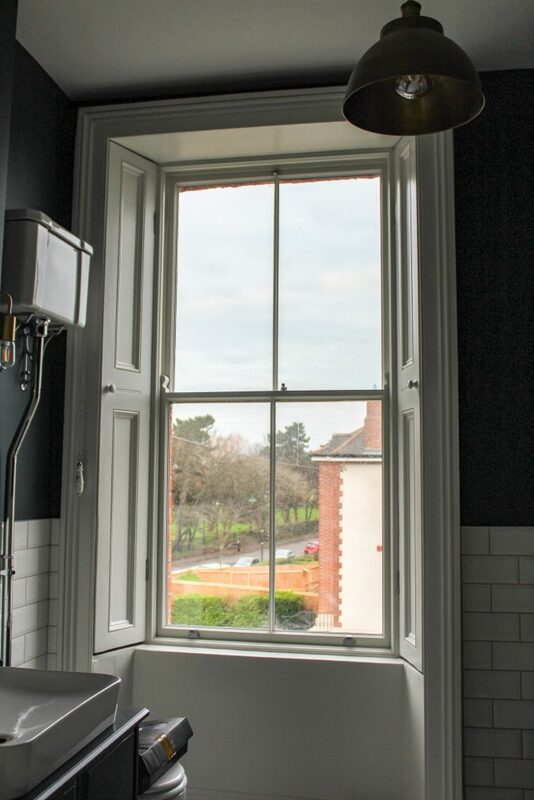 As the frames were being painted dark on the outside and light on the inside, we recommended a black spacer bar to ensure the best possible finish on the windows – the look of single glazing, but the feel of double glazing. 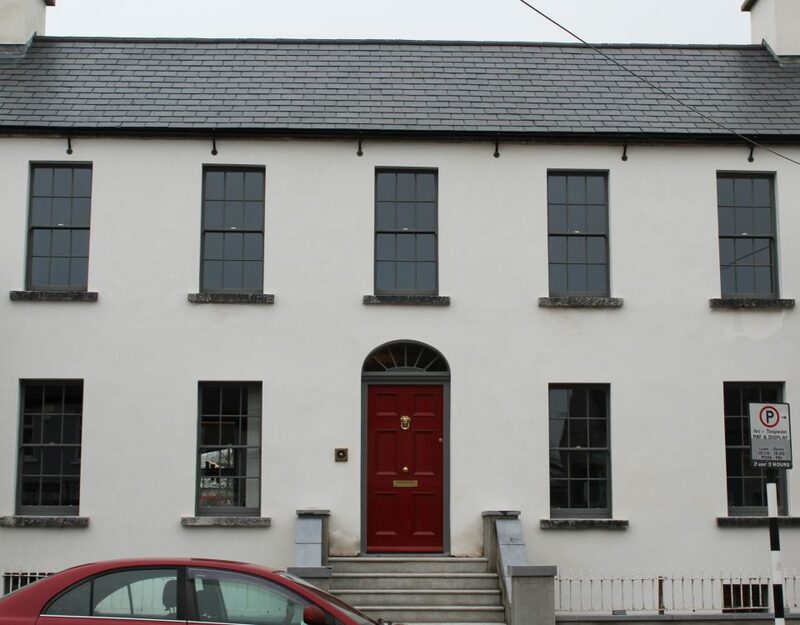 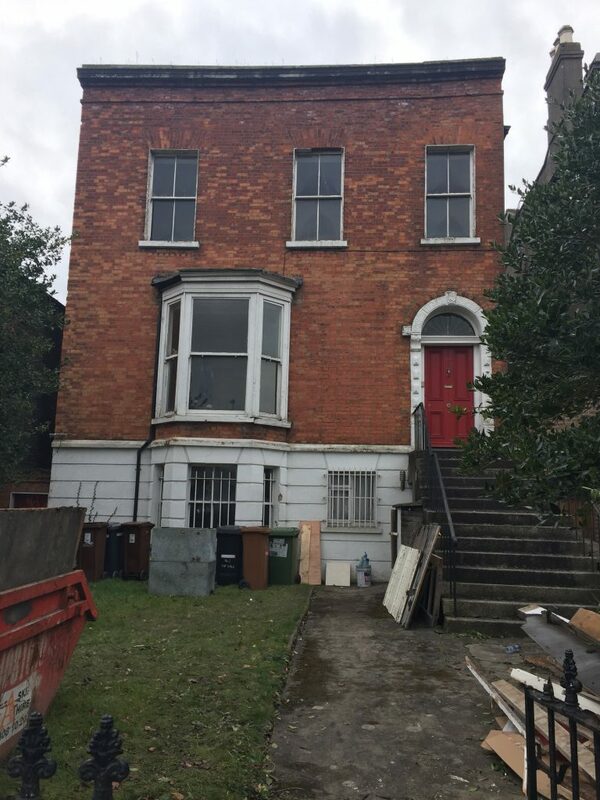 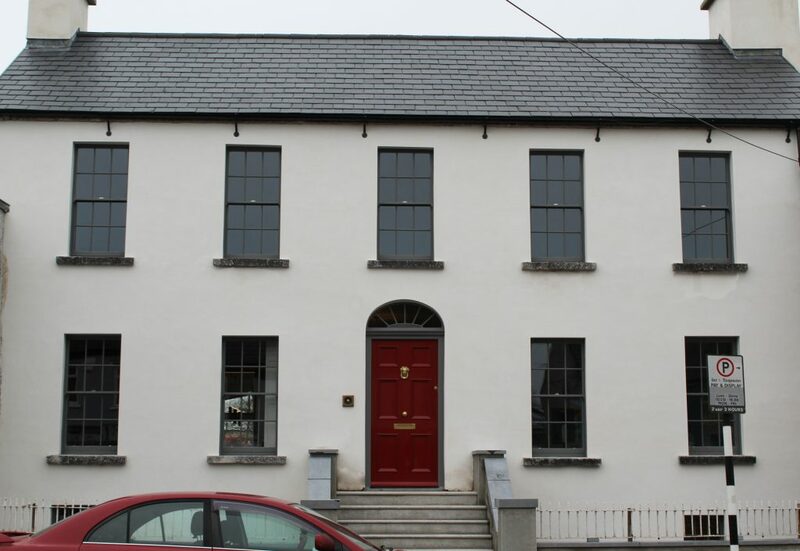 This maintains the period features of the property, which is from the Victorian era and is in keeping with the heritage of the building and the area of Dublin. 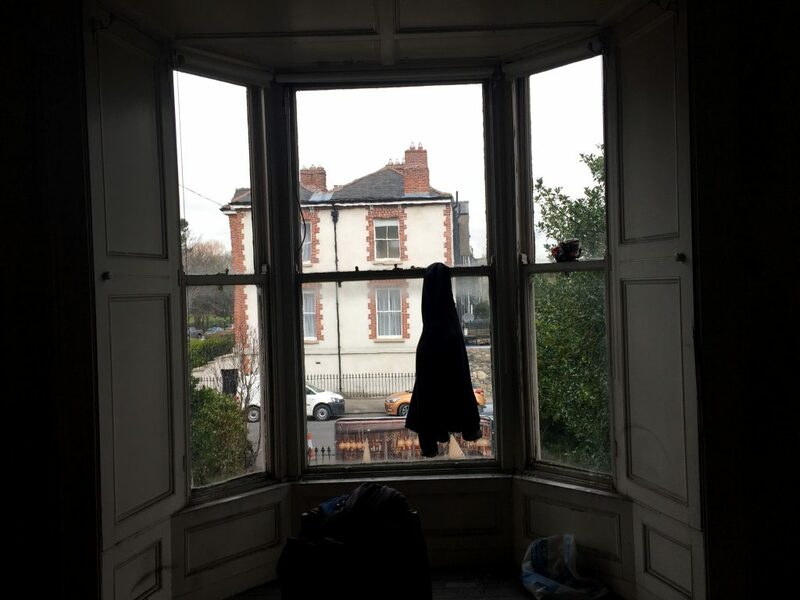 Read more: U-values and A-rated windows in Ireland – what’s the difference? 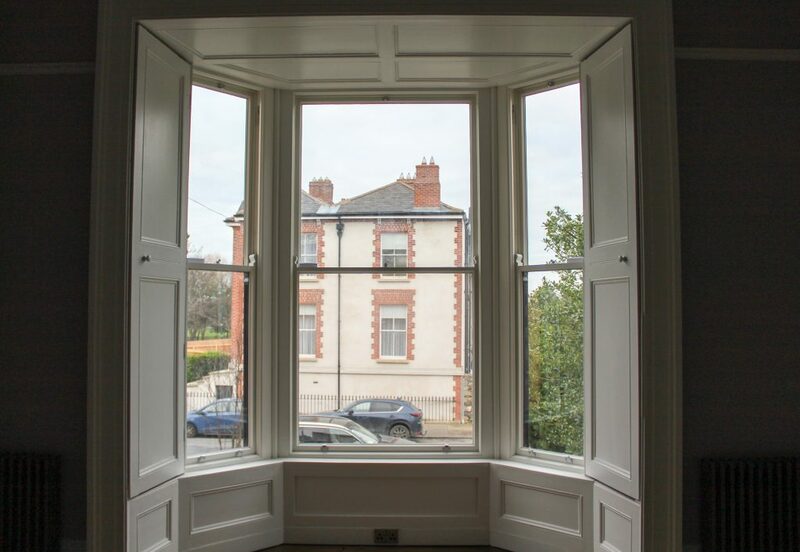 The windows are made from mahogany which is an extremely durable hardwood with minimal movement. 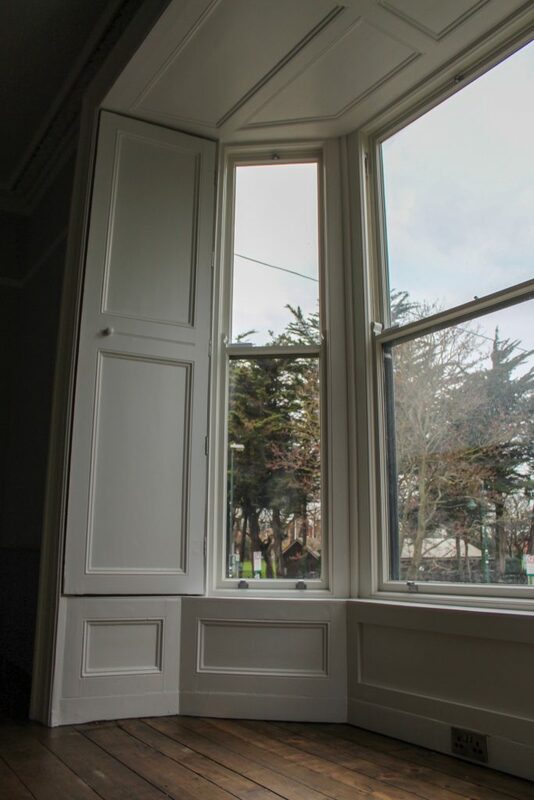 This will ensure that the windows have the maximum longevity when correctly cared for. 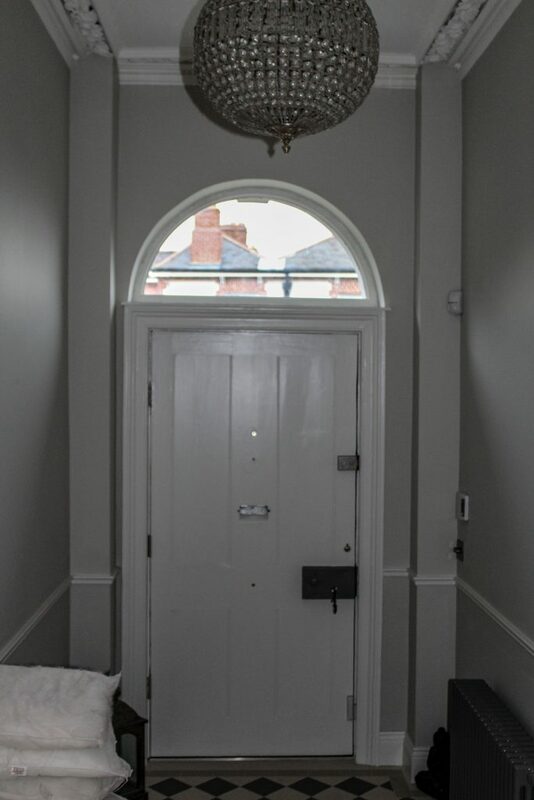 The owners chose to paint the windows RAL 9016 white inside, to brighten the rooms, yet have a modern and fashionable look outside by painting with Farrow & Ball ‘Railings’. 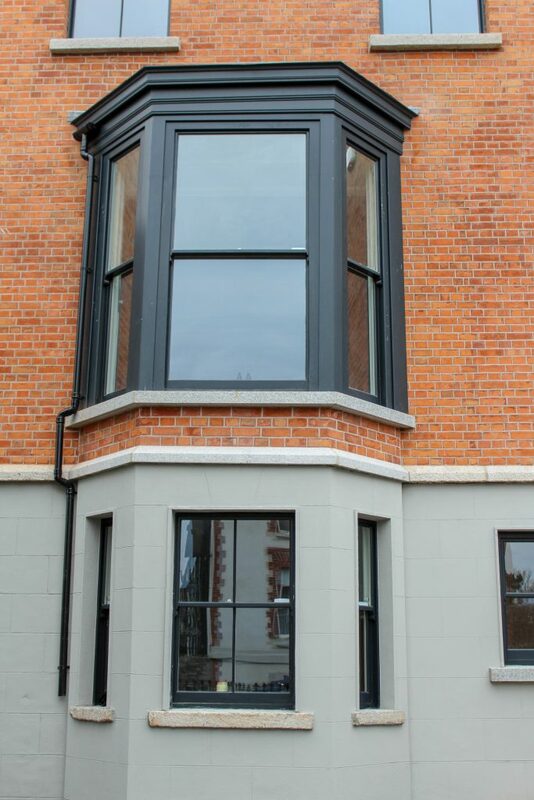 You can see from the photos below, the look that is achieved with two tone painting, and is the ultimate in design flexibility. 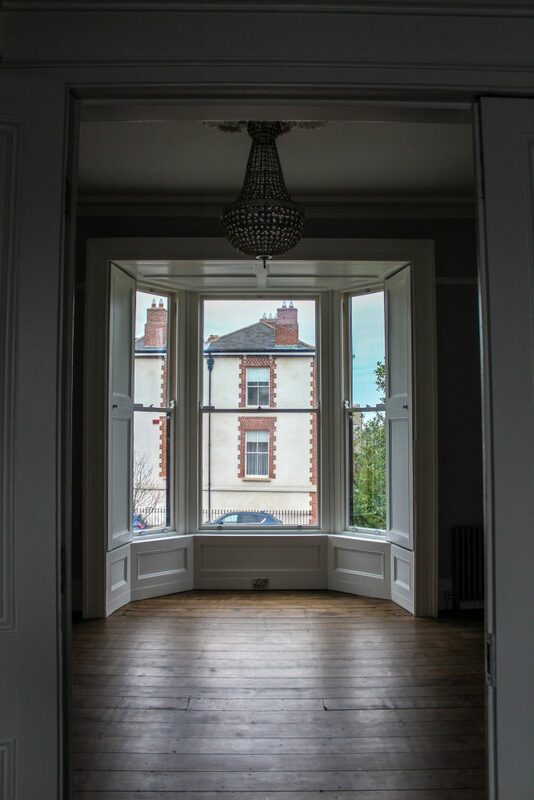 Have a look at these pictures from the home just after the owners moved in!